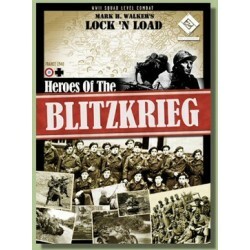 revivez la lutte désesperée de l'armée française en Mai 1940 avec ce jeu complet de la série Lock 'n Load ! jeu en anglais. il n'est pas nécéssaire de posséder un autre jeu de la série pour y jouer. 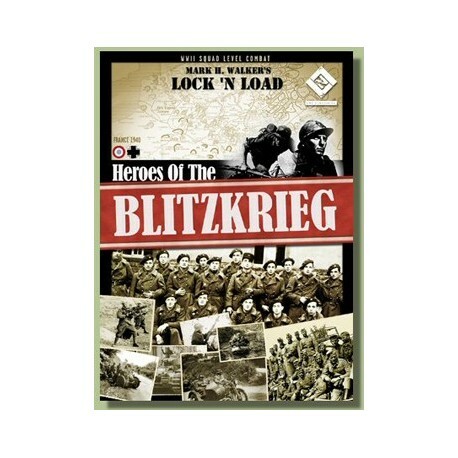 Mark H. Walker's Lock 'n Load: Heroes of the Blitzkrieg relives the desperate struggle for France in May 1940 with this new Lock 'n Load module. Play as the Germans, French, and Belgians. 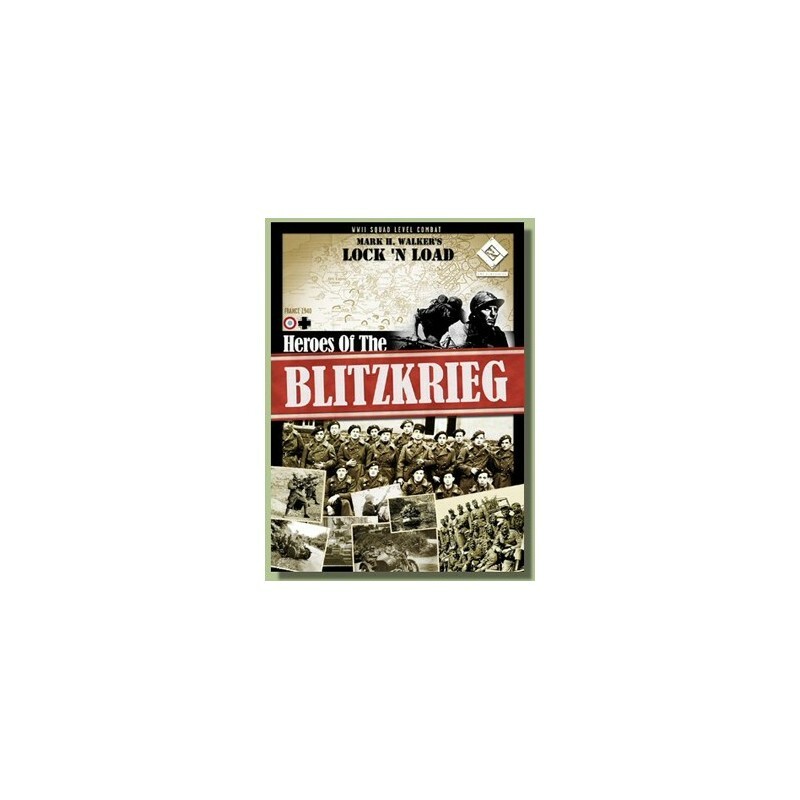 Employ cavalry, Char B1 tanks, Germans Panzers, and much more as you refight the German invasion of France. A Charles S. Roberts award winner, International Gamers Awards Game of the Year, and voted by Game Magazine as one of the top five conflict simulations. Everyone is playing Lock ‘n Load. Shouldn't you be doing the same? These counters are so nice. Take a click. German and French armor face off at a critical crossroads. An all-out German versus Frenchman love-fest. The Castle: French forces trapped in the Citadelle of Boulogne fight against the 2nd Panzer Division. Breaking at Thisnes: French troops, armed with little more than anti-tank rifles and a 25mm gun, attempt to blunt a German armored attack.. The Road to Hill 311: A pure infantry battle for a three hundred and eleven meter tall hill. Last Stop Before Dunkirk: In the last days of May the Grossdeutschland regiment attacks the Allied pocket protecting Dunkirk..
En Route to Abbeville: General Degualle's 4th DCR meets the Germans near Abbeville on the Somme. But that is just the beginning... Designed by Olivier Revenu, the module ships with 16 scenarios, including In the Dragoon's Lair, The Cavalry, Baroud D'Honneur, The Last Charge of the Spahis, Phoney War, and much more. 16 New Skill Cards, providing Leaders and Heroes with special abilities. Player's aid charts. dice, and box. 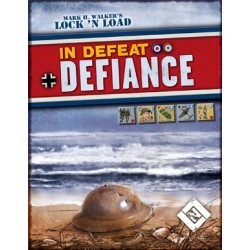 In Defeat, Defiance est une extension pour Lock 'N Load Heroes of the Blitzkrieg mettant en scène les troupes britanniques. version en boite.